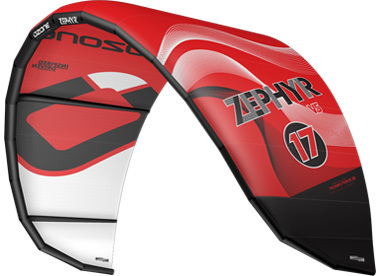 Ozone designed this kite as a tool to be used anywhere from 6 to 20 Knots of wind. From light-wind weapon to big-air freeride kite. According to the team riders the Zephyr is like a boat that just steams ahead and allows you to do your tricks. Relaunching a (tube) kite with little wind is always a problem, but not the Zephyr according to Ozone. Their slogan is You laugh.... they cry!